Dunnes Bar Div 1 League – we hosted Leitrim Gaels on Sunday morning last in Pairc Sean O’Laodain. The game ended level 8pts each. Westlink Coaches u15 League – our u15’s travelled to Kinlough on Friday evening to play Melvin Gaels in the 13 a side Shield Final. In a close encounter, the lads had their noses in front at the end claiming the Shield on a scoreline of Fenagh St Caillins 4.09, Melvin Gaels 3.11. Well done lads. 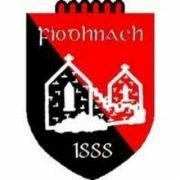 Esquires Longford Leitrim u12 League – our u12’s began this year’s competition with a trip to Dromahair on Thursday evening and beat the hosts by 4.11 to 2.08. On Thursday this week, we host Carrick Sarsfields from Longford in Pairc Sean O’Laodain with a 7.30pm start. Cumann na mBunscol – the boys from St Caillins National School play in the Division 2 final on Tuesday 5th June in Pairc Sean MacDiarmada. The opposition is Ballinamore and throw in is at 5pm. Good luck – to all those starting Leaving Cert and Junior Cert exams this week. Thank you – thanks to everyone for your support in our recent fundraising events for our juvenile teams. Both the ‘Guess the Score’ and ‘Car Wash’ events were really well supported by everyone in the parish and beyond. Thanks also to all who gave their time to help out with the running of these events.